• 56 sq. m., 1 bath, 1 bdrm apartment - €35,000 EUR - Title Deeds - NOW SOLD! 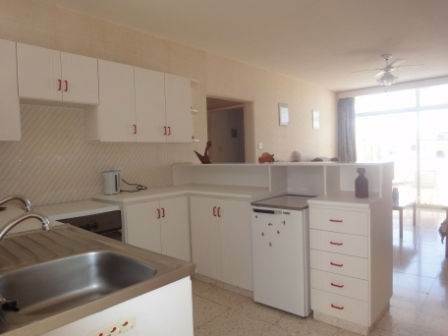 Kato Paphos, Paphos - If you are wanting a property close to all the amenities, then this apartment is ideally located. The beach, shops, restaurants, and public transport are all within easy walking distance. The accommodation features an open plan living area, with end kitchen and breakfast bar. Patio doors open on to a balcony overlooking the swimming pool, and there is a partial sea view. The double bedroom with fitted wardrobes is a good size and also has patio doors providing easy access to the balcony. Opposite is a family size bathroom. This apartment is a bargain price. It is being sold furnished and has full title deeds.